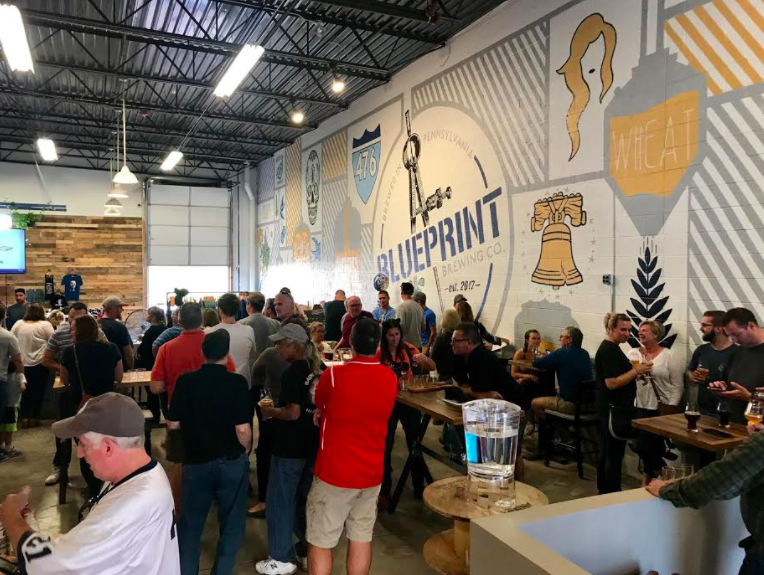 EveryHome Agent Opens Blueprint Brewing Co in Harleysville! It was December 2nd, 2016, and Cory McDonald was celebrating his successful year in real estate with his wife and partner, Lauren, at EveryHome’s annual Christmas party. That evening, he was introduced to Jason Scholl, the fiance of another EveryHome agent, and began discussing beer (their favorite subject!). After learning about Cory’s passion and talent for home brewing, Jason asked to meet him for lunch later in the week with a third partner, Kyle Fetch. Jason and Kyle had been eyeing local opportunities for a craft beer taproom in the Souderton area, but quickly changed their focus to opening a brewery when they tasted Cory’s home brews. And in less than a couple months, the three men had finalized their business plan, renovated an industrial warehouse in Harleysville, and began brewing. 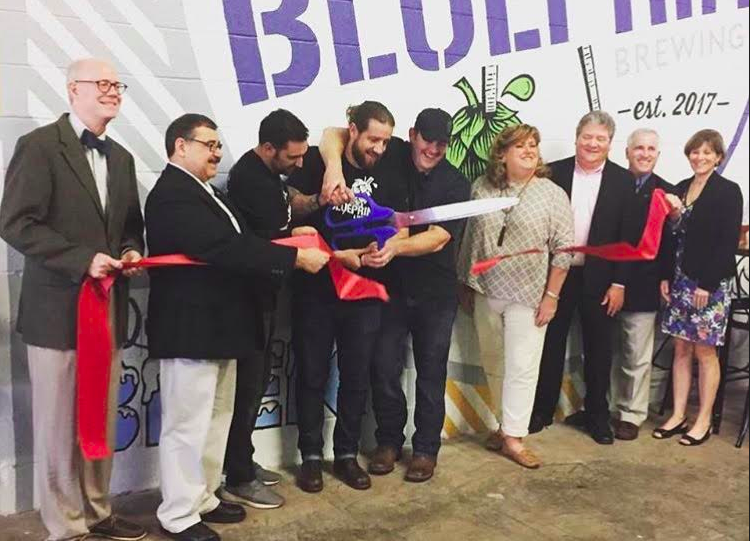 In October 2017, Blueprint Brewing Co opened their doors to the public! 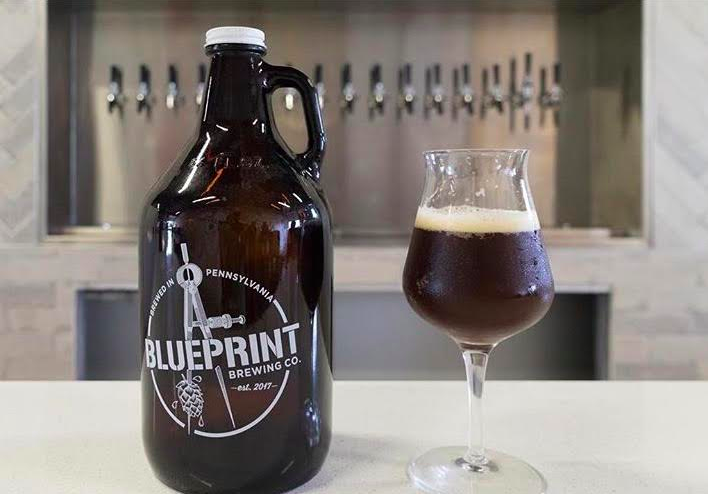 The popular local brewery has already hosted dozens of events, and continues to impress craft beer-drinkers with their West Coast-inspired IPAs, seasonal offerings, and gluten-free options. In fact, EveryHome will even be hosting some settlements at the craft brewery in 2018, so keep an eye on our Facebook page for updates, and be sure to follow them on social media. We’ll cheers to that!